Informative and fun � best describes the PADI Advanced Open Water Diver course. After your five dives, you will be more skilled and have better awareness and knowledge; you�ll feel more comfortable in the water and simply enjoy diving more because you will have an enhanced understanding of diving and the aquatic environment. This course will expand your experience levels in many new areas. This certification will also qualify you to dive to 30m. This is not only desirable for general diving, but also very useful for insurance purposes as divers are usually only covered to the depth rating of their certification. 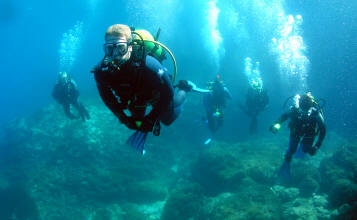 This certification needs 5 Adventure Dives to complete the course. This course is about diving and being in the water. Building on your experience and experiencing new adventures. You will receive a PADI dive manual as part of the course. 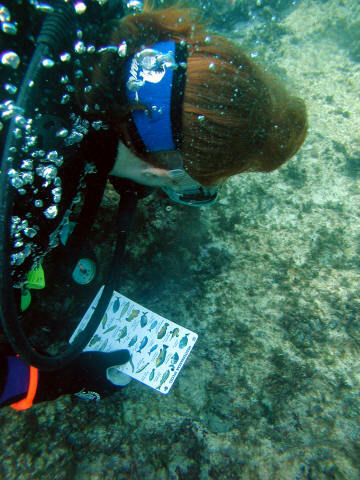 Read the chapters relating to the adventure dive you are doing. Then complete the knowledge review at the end of that chapter � have your instructor check it � Simple!